Chinese handset manufacturer ZTE has unveiled the ZMax Pro smartphone in the US. Priced at just $99 (approximately Rs. 6,600), the new ZTE ZMax Pro will be available via MetroPCS starting August 1. The company is offering a promotional offer for interested consumers who can pre-register the ZTE ZMax Pro and get a free leather case. The offer is limited for consumers who pre-book the smartphone before July 31. At this price point, ZTE is offering the ZMax Pro with fingerprint scanner which is located at the rear panel. One of the biggest highlight of the smartphone is its 6-inch full-HD (1080×1920 pixels) display. The handset is powered by an octa-core Snapdragon 617 processor clocked at 1.5GHz coupled with 2GB of RAM. It supports expandable storage via microSD card (up to 32GB). The handset also packs a USB Type-C port and supports fast charging. It sports a 13-megapixel rear camera with an LED flash while also packs a 5-megapixel front-facing camera. 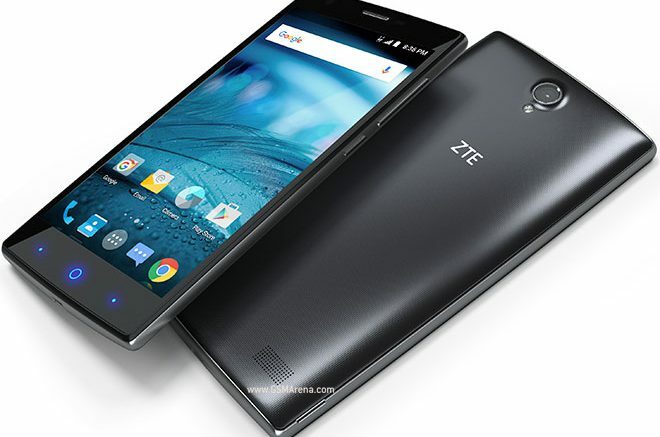 Be the first to comment on "ZTE ZMax Pro With 6-Inch Display, Fingerprint Scanner Launched"